Formed in 1978 at St Breward, near Bodmin, Cornwall it went from repairing appliances to include the sale and repair of new and reconditioned appliances, commercial and Domestic plus their spares, both to the public and the trade. We have many items in stock, new and used also spares for many old and collectable machines twin tubs etc. Mobility scooters and wheel chairs, electric stair lifts. 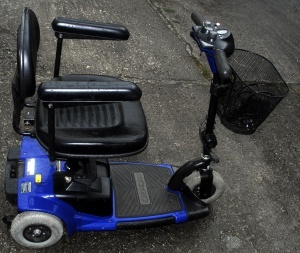 Reconditioned electric scooters and wheel chairs, shower stools, hospital beds, walking frames, hoist's, rise and fall chairs, plus spares for mobility products. We stock a large number of used and new wooden doors internal and external, sanitary ware of various colors, plus many items from house clearance's. We stock a large range of military and government surplus.Good quality new and used boots, shoes & wellingtons (some with steel toe caps), socks, shirts & tee shirts, vests, long johns, waterproofs incl. ponchos, fleeces, pullovers, extreme cold weather clothes, Parkas, gloves, Balaclavas, bush and other types of hats, jackets & trousers, incl. new issue camo jackets, boiler suits, camping equipment, jerry & water cans, holdalls & rucksacks, cargo nets, camo nets, parachutes, webbing, camp roll-up beds and many other items. Thousands of items for sale & wanted.